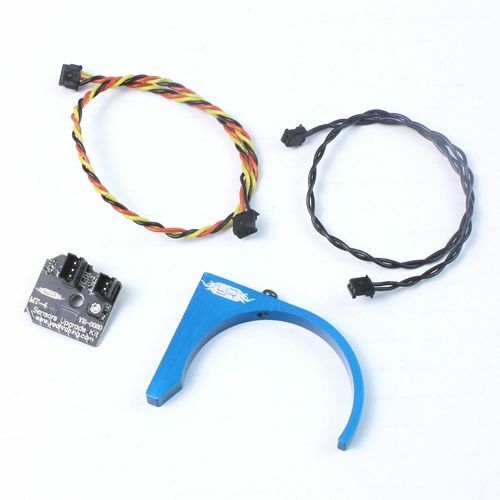 Produktinformationen "MT-4 Telemetrie Sensor Upgrade Set für Brushless Motor"
MT-4 Telemetry Sensors Upgrade Kit is specially designed for Sanwa MT-4 telemetry system. The original MT-4 telemetry system is renowned for its innovative incorporation of temperature and RPM sensors and telemetry system in its kit. This kit is a replacement of the 2 kit sensors and aims at simplifying installation and provides even more accurate and stable sensor readings for RC enthusiast. 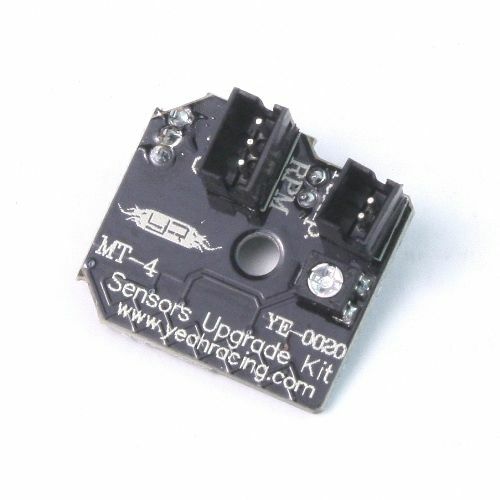 MT-4 Telemtry Sensors Upgrade Kit integrates both temperature and RPM sensors into one small unit. This small unit is then mounted to a specially-designed aluminum mount which also provides pre-drilled mounting positions for 25mm / 35mm cooling fan. The entire unit can then be mounted to the motor just like a normal clamp-type heatsink. This temperature sensor, which has the same level of accuracy as the original one, is strategically positioned underneath the PCB with flexibility to adjust to an optimal position of just touching the motor body for precise measurement. RPM sensing can never be easier with the Sensors Upgrade Kit. By capturing the magnetic field generated around the brushless motor using specially-designed electronics and antenna on the PCB, it can convert the captured data into RPM signal for the MT-4 telemetry receiver. Accurate measurement at over 100,000rpm in real time is feasible! 5. Make sure the temperature sensor is touching the motor body. 6. Connect the supplied wires from the sensor board to the RX-461 receiver. 7. Connect the car battery, switch on the radio and the ESC. 9. Pull the throttle slowly and you should see RPM reading. 10. 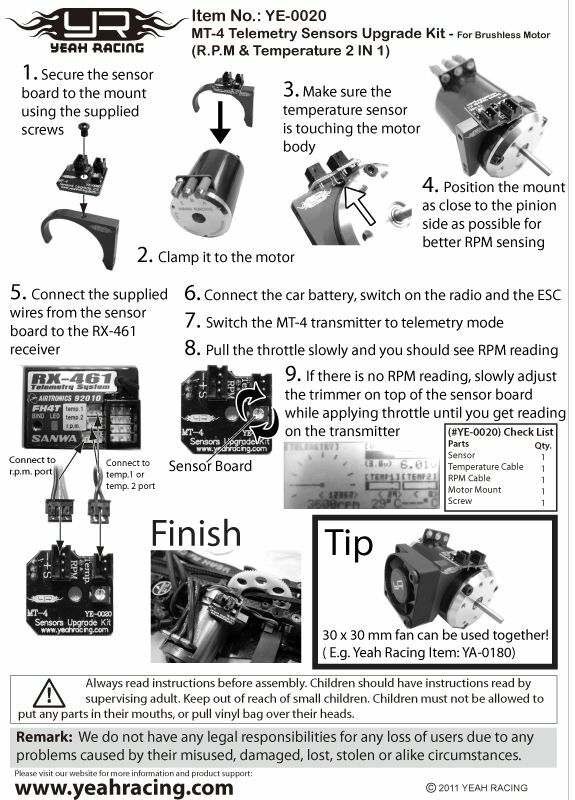 If there is no RPM reading, slowly adjust the trimmer on top of the sensor board while applying throttle until you get reading on the transmitter. Weiterführende Links zu "MT-4 Telemetrie Sensor Upgrade Set für Brushless Motor"
Kundenbewertungen für "MT-4 Telemetrie Sensor Upgrade Set für Brushless Motor"